Alexander Payne isn’t a particularly prolific filmmaker, but the movies that he does make are of the highest quality. At least, that was the case before “Nebraska,” which marks the director’s first bad film of his career. Well, not exactly bad per se, but the black-and-white dramedy is surprisingly mediocre for someone whose other movies are counted among the best American-made films of the past 15 years. 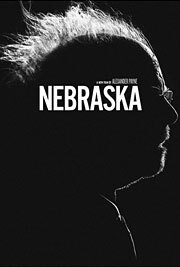 “Nebraska” sees Payne return to his home state for a relatively simple story about a father-son road trip, and though it features some good laughs and decent performances, the movie never really goes anywhere. Bruce Dern stars as Woody Grant, a stubborn, booze-addled crank who believes he’s just won $1 million from a Mega Sweepstakes Marketing prize letter he received in the mail. It’s the kind of magazine subscription scam that most people have been targeted by at least once in their life, but Woody doesn’t know any better, so when his wife Kate (June Squibb) refuses to drive him from their home in Billings, Montana to Lincoln, Nebraska to collect his prize, he tries walking there instead. When his son David (Will Forte) learns of Woody’s foolish behavior, he agrees to drive him there just so he’ll shut up. After an accident forces them to take a detour through Woody’s childhood hometown, news of his good fortune spreads quickly, turning him into a local celebrity with his family and the other townspeople, despite David’s insistence that he hasn’t actually won anything. 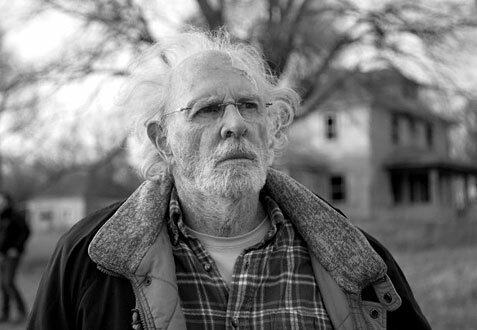 “Nebraska” has already gained acclaim on the festival circuit, particularly for Dern’s lead performance (which won Best Actor at Cannes earlier this year), but there’s nothing really special about any of the acting here. Dern isn’t required to do much except look utterly lost for most of the film, while Forte feels completely out of place in his first dramatic role. June Squibb does earn several laughs as Woody’s plainspoken wife, but it’s funny only because you don’t expect to hear that sort of gutter-mouthed language from an old woman. Bob Nelson’s screenplay also contributes to the pedestrian nature of the film, though it’s difficult to tell whether it’s the dialogue that’s bad or the fact that the supporting cast (save for Stacy Keach and Bob Odenkirk) is comprised of amateurs who make it sound that way. This is the only time that Payne hasn’t been directly involved in the screenwriting process, and it definitely shows. Payne is clearly trying to achieve a sense of Midwestern realism in the casting of these smaller roles (much like how Richard Linklater achieved that small-town Texas flavor with “Bernie”), but it feels a little close-minded in the way that almost every character is portrayed as a redneck simpleton. It also doesn’t help that the film is way too long, because there’s simply not enough material to warrant its 115-minute runtime. People with elderly (and senile) parents will probably appreciate some of the movie’s finer details, but for anyone who hasn’t yet reached that stage in their life, “Nebraska” is akin to being stuck in a Hometown Buffet with a bunch of senior citizens. It’s charming and pleasant enough at first, but you wouldn’t want to spend two hours with any of them.